A magical reading-group novel, that takes us into the world of an Indian untouchable, with echoes of The White Tiger. Barely managing to scrape a living gathering wood from the side of a busy road in Tamil Nadu, Ranji accepts his lot uncomplainingly. His one and only concern is to feed his beloved family and keep them safe in their hut beneath the banyan tree. But when a huge new tyre falls from a passing truck, Ranji realises that this could change his life forever, and embarks on a quest to turn his good fortune into cold hard cash. But his growing obsession causes Ranji to neglect his beautiful wife Meena, who is struggling to resist the advances of the wealthy local brick-maker. 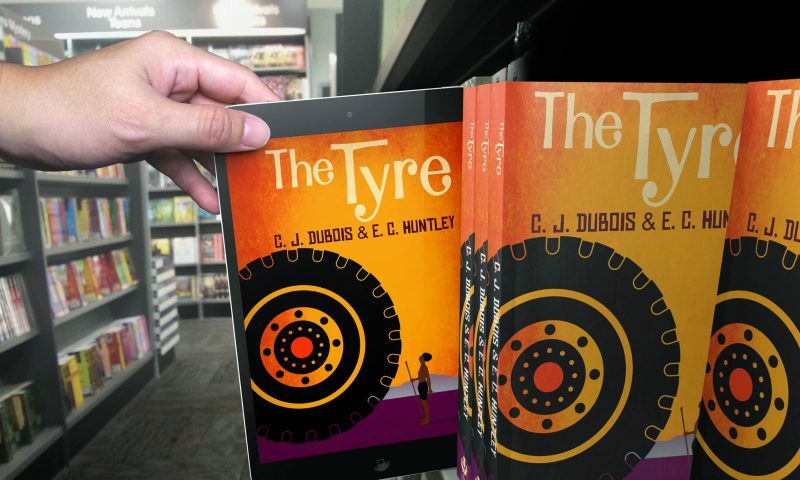 And as Ranji's formerly simple life fills with worries and conflict, he starts to question whether the tyre is in fact a curse rather than a blessing. 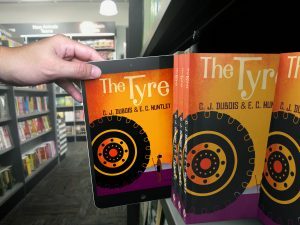 The Tyre is one of those extremely evocative stories that deal with the multiple and diverse elements at play in the rigid caste system in India. 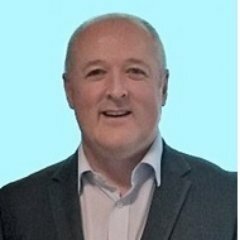 It is also a story of a family’s good luck and misfortune, how hopes are created and dashed, how survival is a struggle, and the ambition to save enough to buy a second-hand bike is a dream. A dream not for leisure but to work harder. The caste system defines everything in Indian society – how men and women are treated, what opportunities will be open to them and what lifestyle they can hope to achieve. Ranji is a lowly Dalit (an untouchable), at the bottom of the class system and living below the poverty line. He lives in a hut at the side of the road with his wife Meena, son Santosh and daughter Surya. Ranji and his wife are illiterate but have been putting every rupee into educating their children. Santosh has reached a level where he can read and write but must now leave education to get a job in Thanjavur. This prophetic advice underpins the story as Ranji and Meena see things slightly differently and the tyre becomes the catalyst for an examination of their relationship, how they become distant even critical of each other and every moment of hope and despair is attributed to the tyre. The story is enthralling as we watch Ranji and Meena deal with various adventures, issues and obsessions, and when the seasonal flooding comes they must come together along with friends and community in their hours of need. A special book that looks at life’s struggles for an “untouchable” family and how they strive to overcome discrimination and prejudices to create the best quality of life they can. Be careful, because sometimes hardship can be disguised as opportunity. Many thanks to Thistle Publishing and NetGalley, for an ARC version of the book in return for an honest review.